For the past few years, Colchester's Glory Reinstein has served as a champion for an established yet underappreciated class of local musicians. Under the banner of her label and promotions company, Malletts Bay Records — formerly Bluebird Promotions — she's served as a public liaison for acts such as Patrick Fitzsimmons, Aaron Flinn, and her son, Gregory Douglass, among other long-tenured and modestly successful Vermont artists. 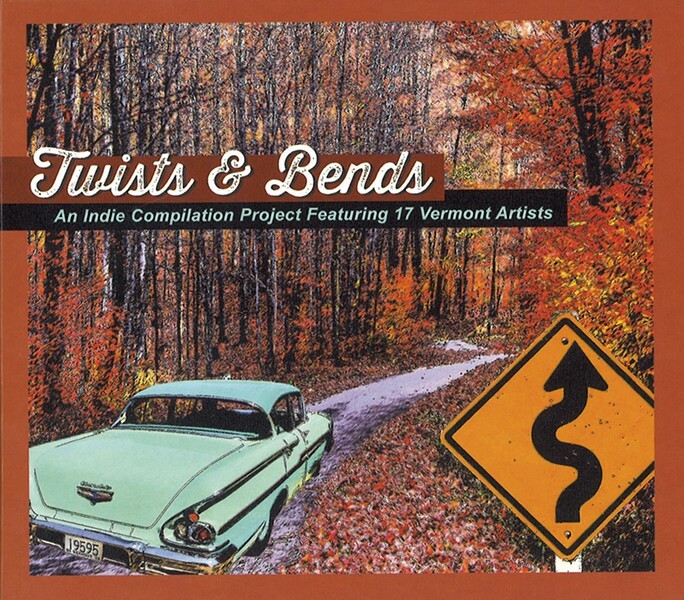 With her imprint's latest effort, Twists & Bends: An Indie Compilation Project Featuring 17 Vermont Artists, Reinstein hopes to help funnel local tunes to the ears of, as she wrote in a successful Kickstarter campaign pitch for the record, "industry folks who dictate what music gets placed throughout the world in film, TV and otherwise." A good compilation should appeal to a variety of tastes. While the comp's implied "indie" designation is a bit misleading — it's shorthand for "independent" artists rather than a genre classification — as a sampler, the CD presents an agreeable grab bag of rootsy rock, pop and contemporary folk. The record features newly recorded contributions from area vets including Douglass, Flinn, Fitzsimmons, Bow Thayer and Lowell Thompson, to name a few. And those marquee acts serve as a strong foundation. But some unexpected gems can be found among the smattering of up-and-comers on the album. Perhaps most notably, these include young songwriter Casey Dubie. Her Wizard of Oz-inspired ballad, "Just Like Dorothy," is a showstopper. Reminiscent of early Hem, it's a tender, immaculately arranged and artfully written meditation on the wonder and melancholy of wanderlust. That's not to say the more familiar faces on the record are overshadowed. Steve Hartmann delivers a soulful turn on "Be." Jeremy Harple's "The Cobbler" is a gritty yet intricate and elegant tale. Thompson's "One Thing Good" is a hooky heartland rocker. And Douglass' "Every Day" is a fine example of his self-described "evocative pop." So will Twists & Bends have major-label suits scrambling to sign Green Mountain acts for Cadillac or Target ads? Who knows? (Though L.L.Bean might be seduced by the precious, fall-in-Vermont cover art.) More germane to our purposes, might the record have local fans scrambling to check out a Vermont artist they've previously overlooked? That seems a likely outcome. A release party featuring several of the acts on Twists & Bends will take place at the Higher Ground Showcase Lounge in South Burlington on Tuesday, November 18. The album is available at cdbaby.com.